I always keep a few pounds of Beef Short Ribs in my freezer for use whenever I get that desire to Braise (which is pretty much everyday). 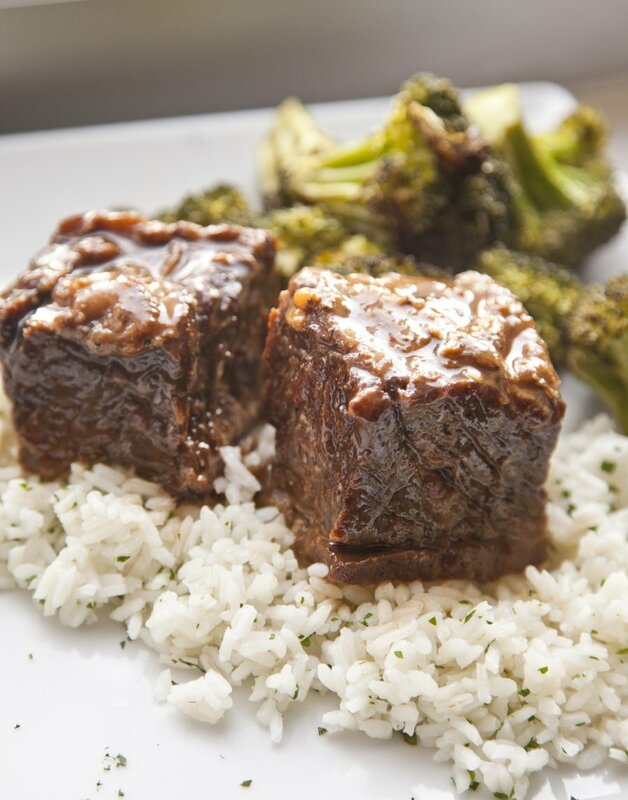 I usually do my Short Ribs in a Red Wine Sauce, cooked in the classic French Flavors with Thyme, Bay Leaf, Beef Stock, etc. Yesterday I went Asian with my short ribs, utilizing only what I had in my refrigerator. I served these over some white rice with cilantro and some roasted broccoli. 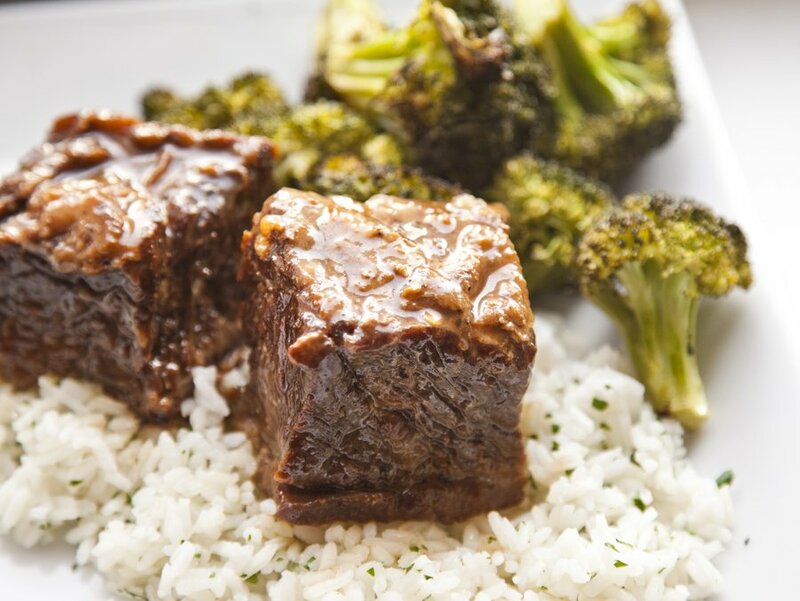 The flavors of the short ribs were awesome - and this braising technique will get them melt-in-your-mouth tender. 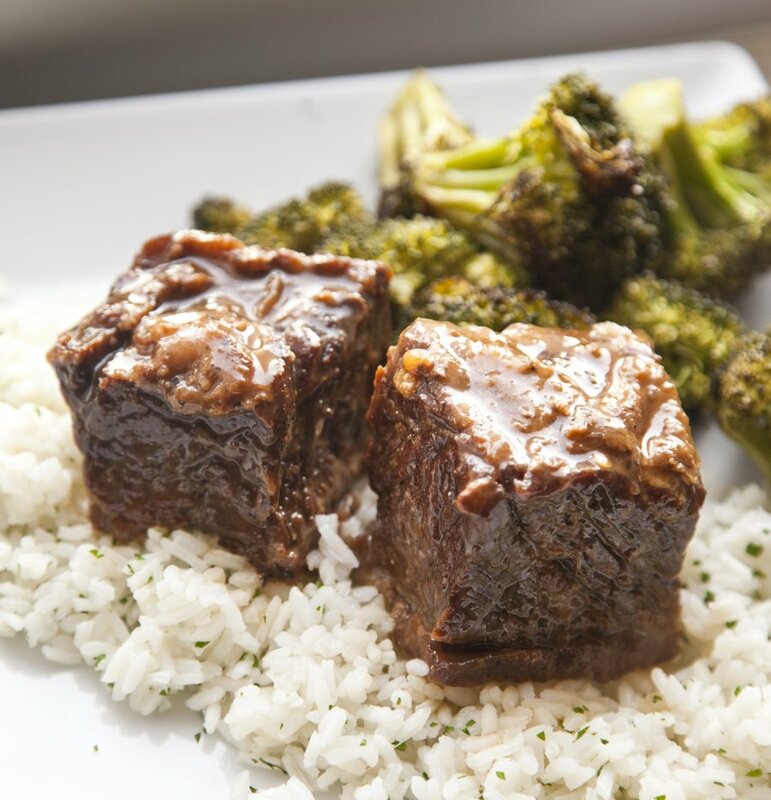 Season your short ribs generously on all sides with salt and pepper. In a small dutch oven, add about 1 T of Canola Oil. Heat oil until it's smoking hot. Sear your short ribs on all sides until golden brown. 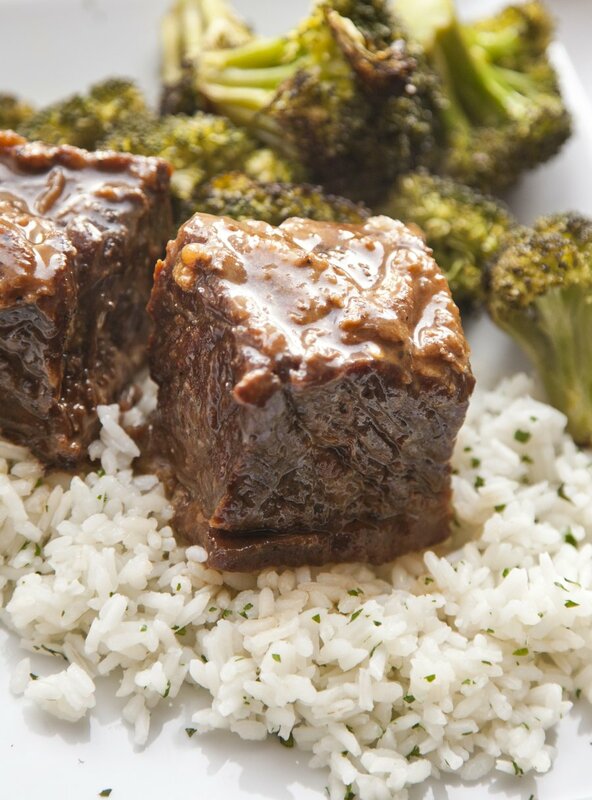 Remove short ribs from pot once seared and place on a cutting board for use later. Turn your heat down to medium and add in your onion into the same pot. Sweat the onion for 5-8 minutes. Add in your grated ginger and cook another 2 minutes. Add in the cornstarch and mix together - cook another minute. Now add in your hoisin, water, garlic chili sauce, liquid smoke, honey, and rice vinegar - mix together with a wooden spoon. Add your short ribs back into the pot, and bring the liquid up to a boil. Reduce the heat to a simmer, cover the pot and cook 2 1/2 hours. After the 2 1/2 hours, take the lid off the pot and cook over medium heat another 30 minutes - a nice high simmer. 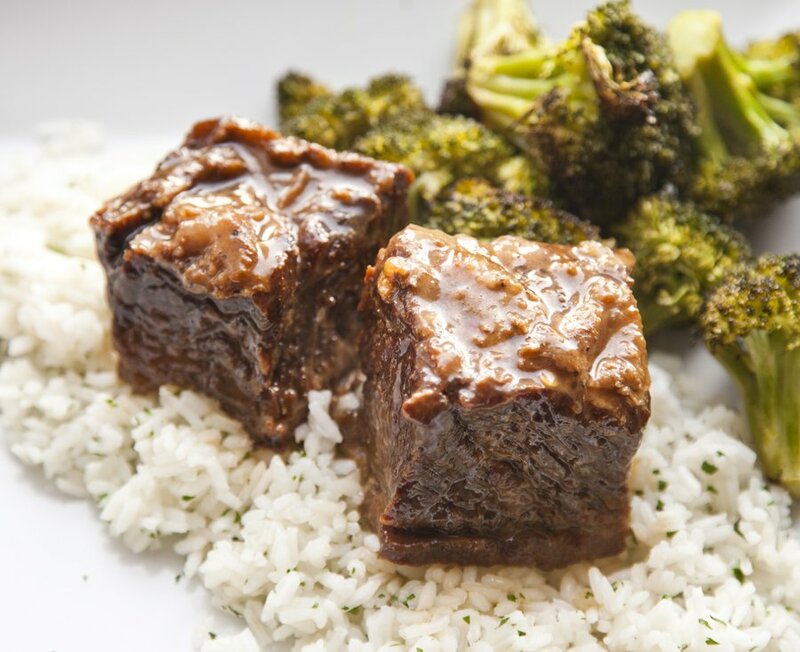 Remove the short ribs from the pot and place on a cutting board - discard of bones. Meanwhile, strain the liquid through a fine mesh strainer into a fat separator. Pour the liquid (without the fat) back into the pot and start to reduce it over a medium high heat for about 15 minutes (you want it a nice thick consistency). Taste and season the liquid. Add your short ribs back in the pot and baste with the liquid - cook for another 5 minutes. Serve hot with the liquid poured over it.